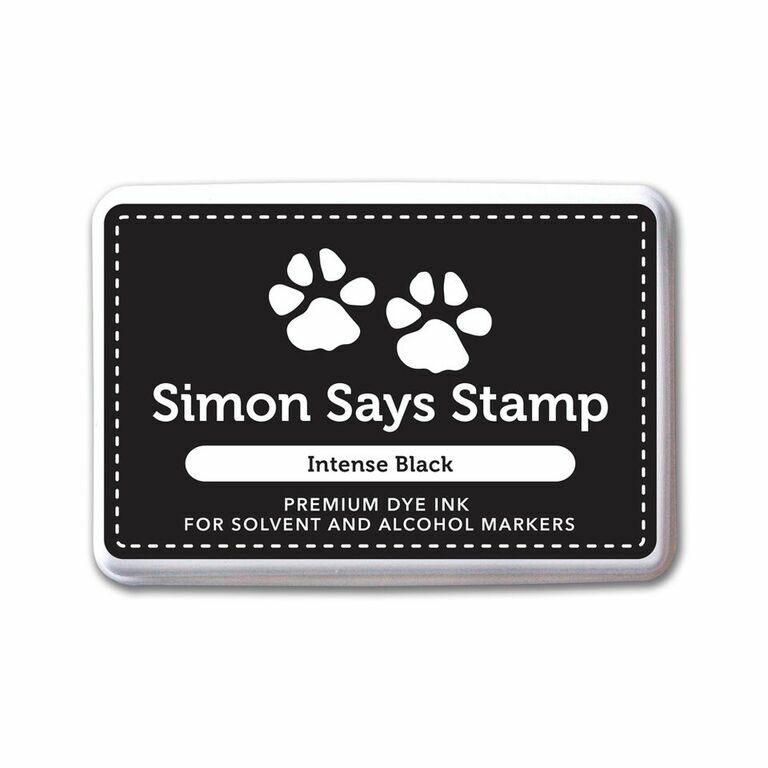 Sharing a card I made using one of the new stamp set from STAMPtember® release from Simon Says Stamp. 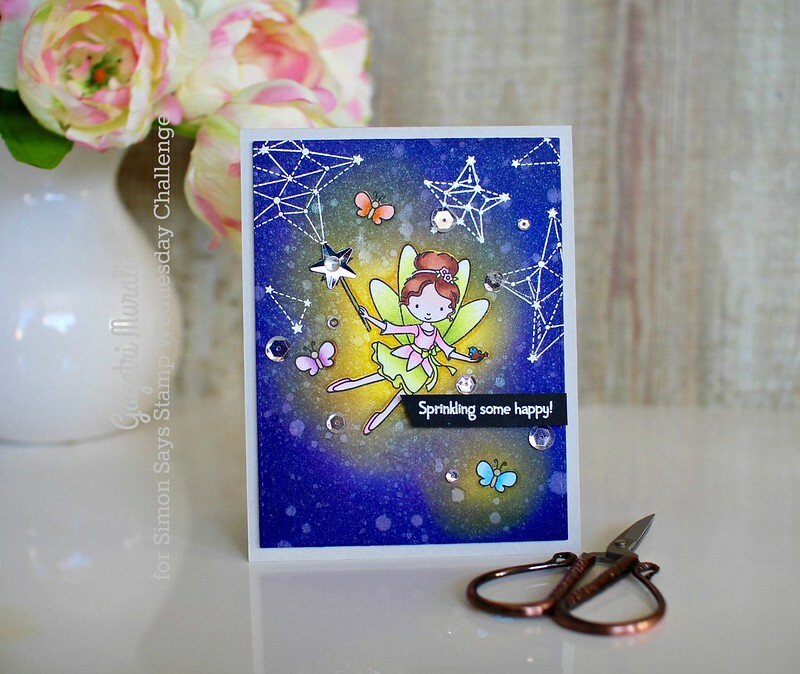 I have used the fairy image from Secret Garden stamp set on my card. 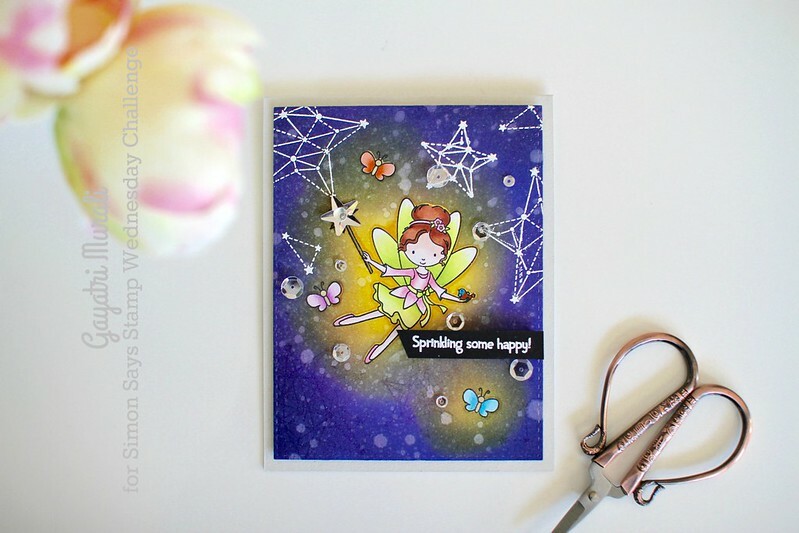 I stamped the fairy image and butterflies, masked and sponged distress inks Squeezed Lemonade, Mustard Seed, Mermaid Lagoon, Wilted Violet and Blueprint Sketch. I then spattered some clean water, dabbed them and then sprayed clear shimmer. I also white heat embossed some star constellation from Seeing Stars stamp set. I die cut this panel using the largest stitched rectangle die from Stitched Rectangle die set. I removed the masks and copic coloured the images. Then I added a large silver star on the wand of the fairy with a small sequins in the middle. I white heat embossed the sentiment from Secret Garden stamp set on a strip of black cardstock and adhered with foam adhesives. The entire panel is adhered on a Fog card base. and embellished with Sparkly Clear sequins. I also brushed some shimmer on the fairy image. 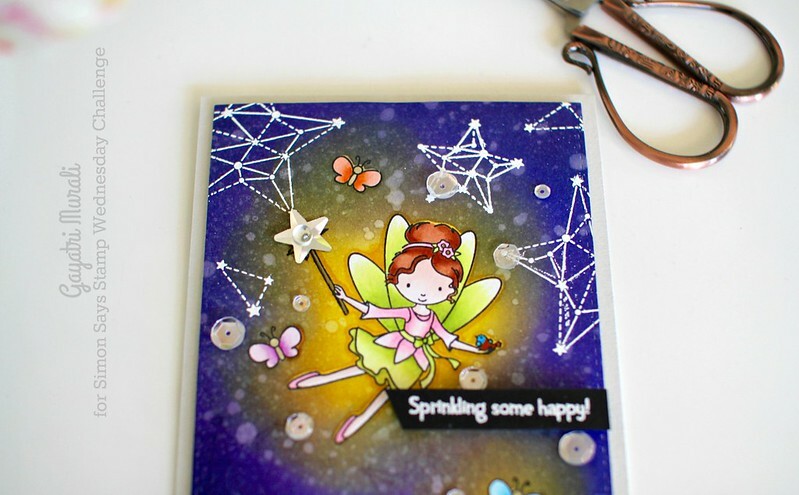 Love the yellow glow around the fairy and butterflies. Love how the card turned out. As always here are all the supplies I used to make this card.